You have friends, don’t you? Well, if you don’t, we can solve that in a quick second. 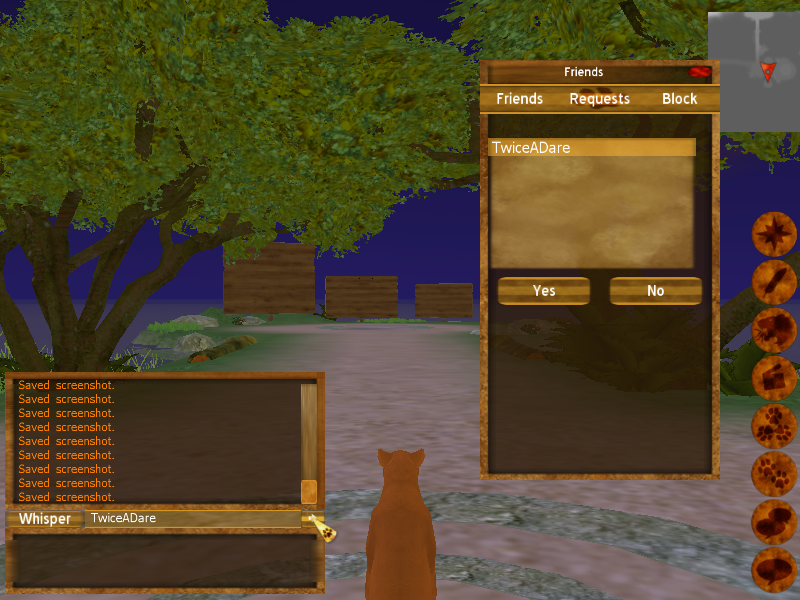 There is an icon to the right of your screen that has two paw marks. This is your friends tab. When you click, a list of your friends will come up. 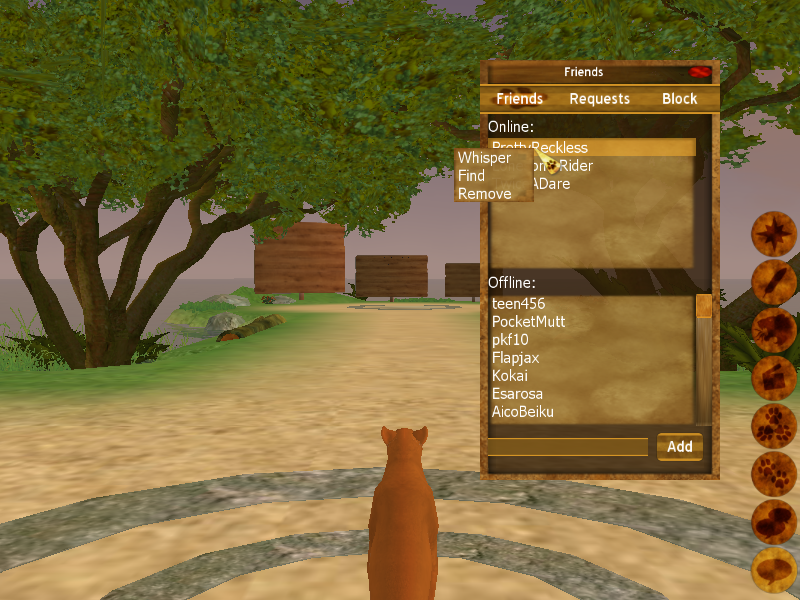 The top being the ones who are “Online” and the bottom being “Offline” You can click on a player who is online and “Whisper”, “Find” or “Remove” as a friend. Whisper → A private message sent to that user specifically. Find → Find what map the user is in. Remove → Remove the user from your friend list. There is also what is known as a Request tab. That is where you will receive friend requests from other users. You can use this to accept or deny a friend request.